I own a house. I have owned it for several years. It is the house I grew up in from early adolescence, although until recently, I had not lived in it for over forty years. My attachment to the structure was minimal, and ambivalent. Because of all the memories in residence. That began to change on December 7, 2013. Death has a way of doing that, a way of instigating alterations—perhaps never more than when mortality comes calling on a close family member: a spouse, a child. A parent. That is what happened last December. Death came calling again. Close. Since then, my partner (the ever patient ‘R’) and I have been in residence in my mother’s former home, my house—our house now. We have, he and I, in all that time, been busy cleaning up, packing up, giving away, making repairs. We have been busy making changes, too: arranging our furniture the we like it, painting rooms in colors to suit our tastes, even re-purposing entire rooms to match our lifestyle. We have talked about other changes we’d like to make as well. But for all that work, all that talk—and speaking strictly for myself—there is one change that has not happened: this house does not quite feel like ‘home’. Not yet. In fact, when I reflect on the many abodes I’ve occupied over the years, the ones that I felt most at ease in were structures that I never really owned—not technically. They were either mortgaged (and thus, legally bank owned) or they were rentals. I made payments. But I never ‘owned’ them. And yet most of those temporary abodes seemed to generate comfort; they were houses, apartments, condos that felt like ‘home’. 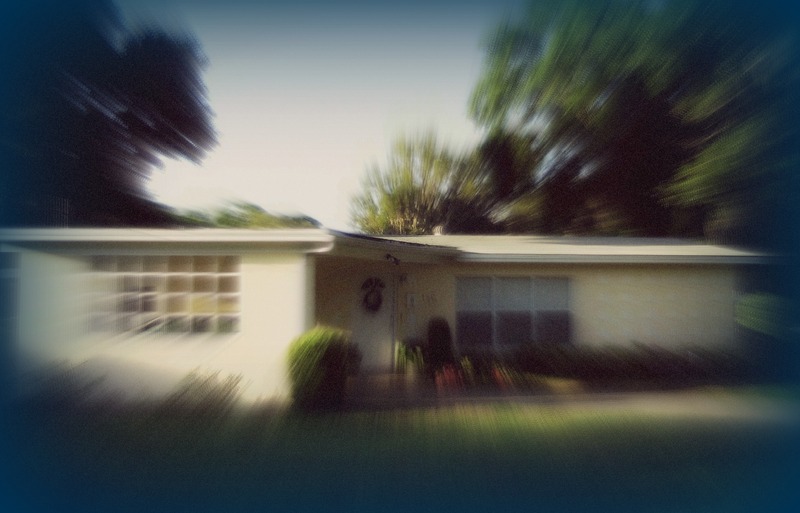 Not like this house, the house that I—that we, my spouse and I—live in now. This house that I own outright. I have pondered why this might be—why so much comfort in those other abodes and so much ambivalence (there’s that word again) in this one? And although it’s hardly a rocket-science conclusion, the best explanation I can summon is that I moved into those other ‘homes’—many of them smaller and with fewer conveniences than these current digs—with nothing more than my physical luggage in tow. They were clean slates—no memories waiting to be tidied up, and no emotional detritus to be processed and/or swept away. Not like here—in this house of my youth. Here every room is a messy steerage trunk waiting to be sorted through. And sorted out. Just there, for example, is the room my father constructed (haphazardly, and without permits) to accommodate the pool table he brought home on a whim one afternoon; and over there, the closet where he stashed his not-so-secret pint bottles of Wild Turkey. In the ‘family room,’ I hear echoes of the war of words my mother and I often waged: battles over religious dogma and faith vs. science and research based evidence; skirmishes over whether or no the Bible was the literal word of God. And in the living room, I am reminded of my teenage best friend, now estranged, and how we smoked our first weed there while dancing wildly to LPs: The Fifth Dimension, Janis Joplin, Jimi Hendrix. On the south side of the house, just there in the dining room, my young children—both still living at the time—played Monopoly with their cousins on a long ago summer’s afternoon. And here, here is the bedroom of my adolescence, where at age nineteen was confirmed the thrilling, frightening truth: that I preferred the skin-to-skin, eye-to-eye intimacy of men. Finally (in the most literal sense of the word), there is the master bedroom where my father, that modest, cancer-ridden man, gave up the ghost indifferent to his stark nakedness; and the kitchen where my mother, forever oblivious of time, prepared the last breakfast of her life—before driving away to keep her appointment with the encompassing quietus that awaits us all. So many rooms. So much clutter. I have trouble figuring where to start, what matters and what doesn’t—what to linger over and cherish. And what I should dispose of and try—try very hard—to forget. It doesn’t help that I am chronically, terminally impatient. I suppose it’s not surprising that I can’t help wondering what my poor Mother might offer were she able to commune from the great beyond. Perhaps trot out an obscure Bible verse: Rejoice in hope, be patient in tribulation… or ancient adage: Everything comes to him who waits? Maybe some other well-worn, worn out maxim in the vein of, Rome wasn’t built in a day? Speaking of which, I expect it would be just as accurate to say that neither is a ‘home’—built in a day, that is. All this advice, actual and imagined, has merit. But I wonder if it doesn’t boil down to a single thing: do whatever it takes to make a house—your house—a home. Move in. Really and truly. Take possession for good, for goodness sakes! 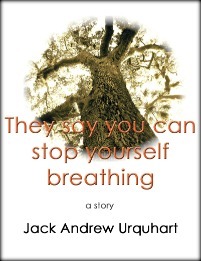 This entry was posted in Uncategorized and tagged Andrew Urquhart, facing change, gay mid-life, Grief Loss and Bereavement, grief management, home-making, Jack A. Urquhart, Jack Andrew Urquhart, loss of a parent, making a home, managing change, mid-life-changes, moving, moving home, period of adjustment, relocating. Bookmark the permalink. Jack, I had figured that your recent incommunicado state (where had all those Facebook postings gone?) 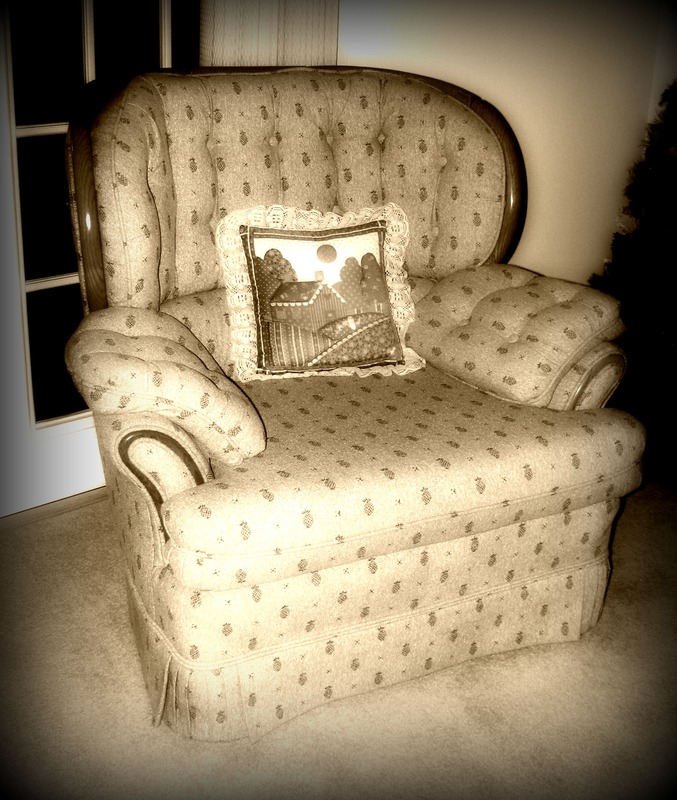 might stem from sorting through your mother’s possessions (I know a lot about that – it took two years for me to sort through my mother’s), but I never thought about your moving into her house (your old home)! It’s the logical thing for you and R. to do! You’ll get accustomed and make it your own! I lived mostly in rentals throughout my life and I always wanted to own a house. Now I do (have since 1987), and it sure does beat apartments, even if I do have to pay somebody these days to shovel snow! 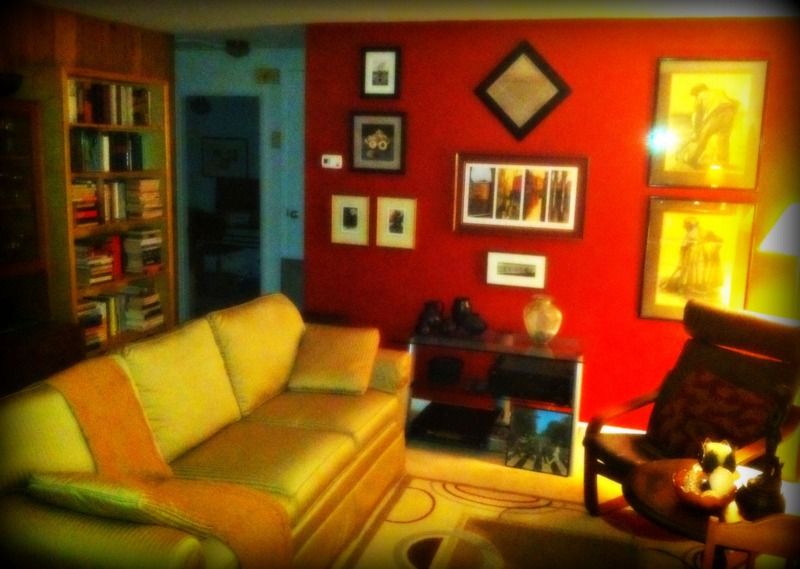 I love the red wall, but don’t get rid of all that ugly but comfortable furniture! A little nostalgia can’t hurt! Best wishes and good luck! Well, that explains the back problems and other things . . .you have been busy. Love what you’ve done with the living room.